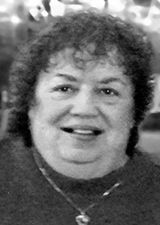 RACINE—Margaret Ann Baab, “Peggy,” age 72, passed away Monday, January 7, 2019, at Ascension All Saints Hospital. She was born in Ashland, WI, June 29, 1946 daughter of the late Vernon and Dorothy (Nee: O’Brien) Witzke. She had been employed as a manger for Holiday Inn. Above all she cherished time spent with her family. She will be dearly missed. Surviving are her daughter, Christine Johnson; brother, John (Linda) Witzke; a niece, nephews, other relatives and dear friends. A memorial service will be held at the funeral home Friday, January 11, 2019, 6:00 p.m. Relatives and friends may meet prior to the service 4-6 p.m Memorials to the family have been suggested.